With this garden house and surrounding amenities, we transformed the rear yard of an existing main house into the go-to hangout space for a family with two teenagers. 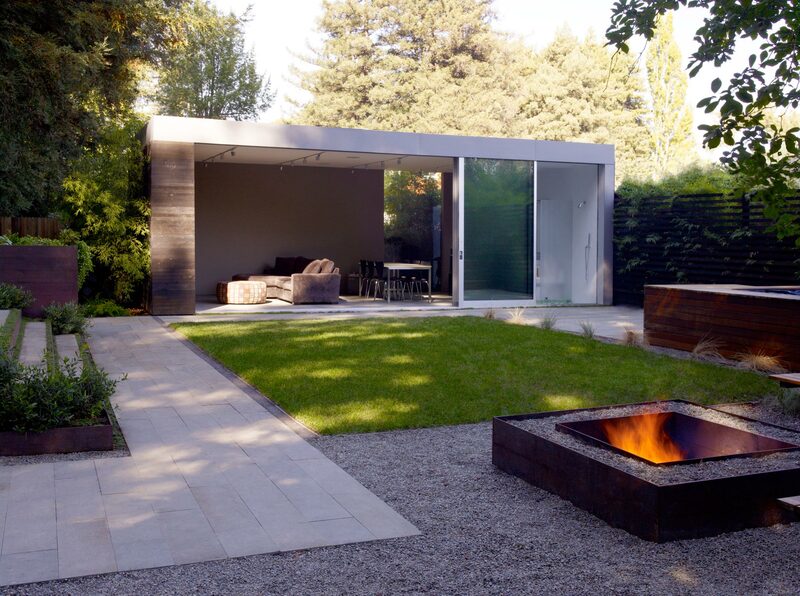 A ground-up modern pavilion in a grove of 16 mature redwoods, native ferns and grasses, this multi-use garden house fulfills the family’s need for overflow living and entertainment space. In its comfortable, open expanse they enjoy a full media room, where Dad also hosts band practice, and nature-loving guests can crash on the sofa-bed. 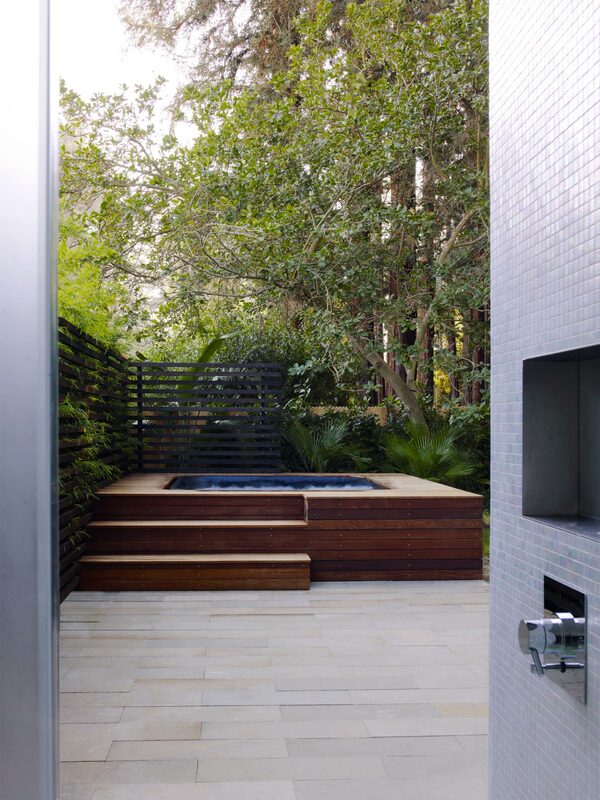 A separate door connects its bathroom to the outdoor hot tub area, so that one can go directly between the hot tub and bathroom without dripping through the dry space. Extensive landscaping and hardscaping created adjacent ‘outdoor rooms’—a fire pit with built-in benches, barbeque and lawn—as well as establishing a meaningful connection between the main house, the pavilion and the gardens. This garden house was originally envisioned as an accessory to an extensive remodel of the existing main house, but its utility has solved the family’s space use issues for the time being, enabling them to defer the main house project.